The push to treat migraines with a new class of medicines took another turn on Tuesday when Allergan presented clinical data for an experimental pill meant to help fend off the debilitating headaches after they start. Allergan’s (NASDAQ: AGN) ubrogepant, met its main goals in the first of two Phase 3 studies. In a trial of 1,327 adults with migraines, ACHIEVE-1, the drug bested a placebo at reducing the pain or symptoms from a single “moderate to severe” attack. Allergan’s drug is a member of a new class of migraine medicines that block calcitonin gene-related peptide (CGRP), a protein thought to play a role in pain transmission. These drugs are part of two different migraine-treating races. In the first competition, four different injectable CGRP drugs are either in late-stage testing or undergoing an FDA review, and unlike existing migraine therapies, they are supposed to reduce the number of attacks. Migraines affect some 38 million people in the U.S. alone, according to the Migraine Research Foundation. A migraine attack can be debilitating, bringing with it sensitivity to light and sound, and visual disorientation called an aura. Though the aura typically lasts an hour, migraines can last from several hours to several days The condition also takes an economic toll. The foundation pegs the U.S. productivity lost to migraines at more than $13 billion a year. In the ACHIEVE-1 study, 19.2 percent of patients on a low (50 mg) dose of ubrogepant and 21.2 percent of patients on a high (100 mg) dose were pain-free two hours after a migraine attack, compared to 11.8 percent of placebo patients. Allergan also reported 38.6 percent of those on a low dose no longer had their “most bothersome symptom,” either nausea or sensitivity to light or sound, 2 hours after treatment. Allergan said this compared to 37.7 percent of patients on a high dose and 27.8 percent of placebo patients. Separation from placebo on both of these measures were the two main goals of the ACHIEVE-1 trial. Allergan said the drug performed “similar to placebo” in terms of side effects. Patients on Allergan’s drug most commonly experienced drowsiness, nausea, or dry mouth, though no more than 5 percent of patients experienced any of these side effects. Allergan will disclose more detailed results at medical meetings throughout the year. Ubrogepant is the result of a licensing deal with Merck (NYSE: MRK), which gave Allergan rights to Merck’s investigational anti-CGRP drugs for $250 million up front. The drug, formerly known as MRK-1602, had completed Phase 2 testing before the two companies struck a deal in July 2015. Merck had stopped developing an oral anti-CGRP drug called telcagepant in 2011 due to worrisome effects on patients’ livers. At the time of the deal, Allergan noted that MK-1602 “belonged to a different chemical series” and hadn’t shown the same problems. “It appears that Allergan has cleared the bar on liver safety,” wrote ISI Evercore analyst Umer Raffat in a note Tuesday morning. Still, these types of effects bear watching, particularly as Allergan prepares to report results from a second, 1,686-patient study, called ACHIEVE-2 in the first half of this year. If all goes well, Allergan could file for FDA approval in 2019. Allergan shares climbed about 1 percent in pre-market trading on Tuesday. 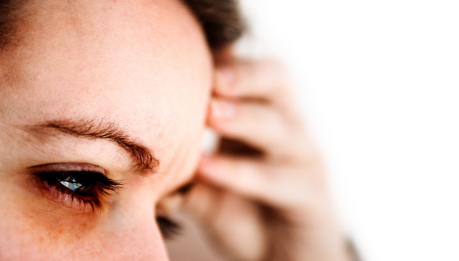 The injectible anti-CGRP migraine drugs, meanwhile, are closer to market. Therapies from Amgen (NASDAQ: AMGN) and partner Novartis (NYSE: NVS), Eli Lilly (NYSE: LLY), and Teva Pharmaceutical (NYSE: TEVA) are all currently under FDA review, while Alder Biopharmaceuticals (NASDAQ: ALDR) plans to file for approval of a fourth drug later this year. 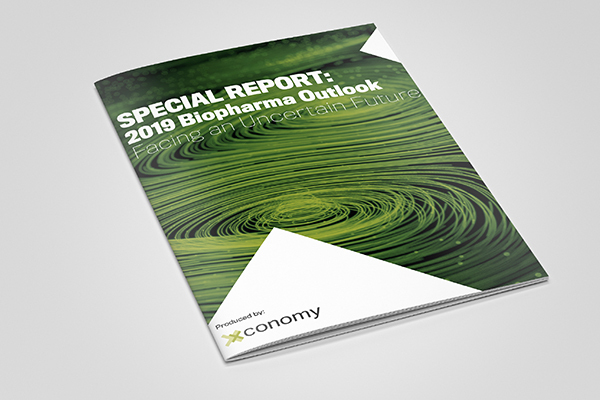 While encouraged about the new medicines, migraine experts expressed concern to Xconomy last year about overestimating their potential and whether their likely high price tags might make them unaffordable. Here’s more on the questions and challenges ahead for the new group of migraine drugs.